So I've been reading all the old posts on pocket meters, and for many previous posters price seemed to be a big sticking point. The super cheap Uni-Ts get a lot of praise, and there is a vote here and there for a medium price Amprobe or maybe the more expensive Sanwa. But if you were willing to spend serious money on a pocket meter, say $200 USD, can you get a noticeable upgrade from the Sanwa PM300 that Dave sells? I'm looking for the best meter I can possibly buy that I can throw into a backpack and forget about until I need it. I currently own a Fluke 87V, Fluke 233, and Brymen BM235, and I consider them to all be a bit big for this purpose. There are two types of people in the world. Those who are happy with good enough, and those who are never happy. Perhaps if you bought a Sanwa from Dave and sent him a $100 Patreon donation. At least one of you should be happy. Haha, that might indeed be what I end up doing, Wilfred. Do you have a Sanwa and like it? If you must have a teeny tiny piss ant DMM why not let the very recent vids by Dave guide you ? Thanks for the links, tautech! I gave both those videos a watch before posting. In fact, I have already read a few posts by you on some old threads as well. I believe you had one of the Victors that now has a modern Digitek lookalike? I gave both those videos a watch before posting. In fact, I have already read a few posts by you on some old threads as well. I believe you had a Victor? Perhaps my low post count is throwing people off, but I am not one of those annoying people who doesn't do my own research, watch the videos, or search the forums before asking a question. Ah, the pocket Victor...yeah I got a couple years back as gifts for mates and AFAIK they are still in use. I also have a VC99 and now only use it for Hfe tests or when I need multiple DMM's for something. Fluke 15B is my daily driver now (bought a heap of them a while back and kept one) and a SDM3065X bench DMM for complex and accurate stuff. I haven't watched Daves pocket meter vids.....just know he'd done them and reckoned there'd be info there that would help. In your position I'd just use the BM235, period. Damn fine little DMM especially with the zipped case......I should really get one to throw a few $ Daves way. No. I am just unhappy because I can't afford it. I have the Uni-T 120C which I am happy with. It is good enough for the occasional use it gets. Thanks for the info, wilfred! The big reason I haven't gone ahead and grabbed one of those cheap Uni-Ts was that Dave didn't seem particularly enthusiastic about their safety compared to the Sanwa PM300. Now, obviously I don't plan on testing my local power grid with my pocket meter, but I am willing to pay extra for additional safety. Those Uni-Ts edge out the Sanwa by having current testing which might be nice. Although if I had to have current I would probably spend a bit more and get the Amprobe PM55A/Brymen BM27. I suppose I could make my own, but the lack of a case is a big negative for me on those. Meanwhile, the case on the Sanwa looks really nice. Sanwa PM300 for the more expensive price bracket and for safety. Tautech, the EEVBlog BM235 is what I am carrying in my back pack right now. 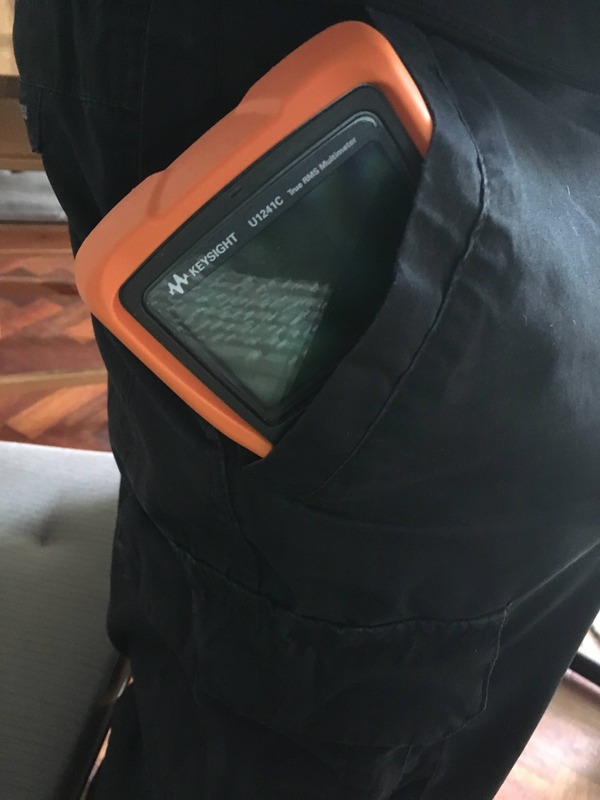 Definitely a great meter, but it is still pretty big compared to many of the other pocket meters I see mentioned. I don't have a case for it either, and the probes keep coming undone and flopping around. 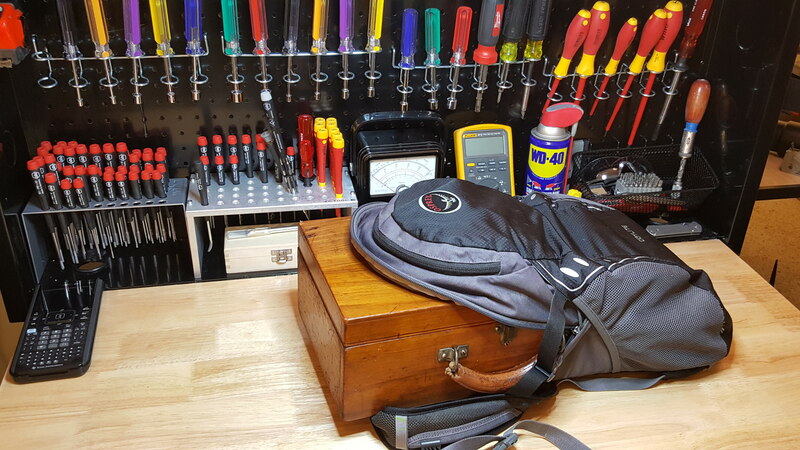 It is probably going to end up on my bench as a replacement for my Fluke 233, which is a far cry from an electronics meter, considering it has neither miliamps nor microamps. It's a shame, because the kickstand on it is superb. Better than the Fluke 87V and miles better than the BM235, which I must say is a quite a disappointment. Use the Quote button to keep replies in context. I thought the case was available as an accessory and I've just checked Daves shop and it's nowhere to be found ! F that, without the zipped soft case I won't be getting one. Does the rear bail not open wide enough so that when standing the meter's unstable ? Anyways, you can stick pocket meters as far as I'm concerned, I'd rather use a bigger one or one of the various automotive testers I have that indicate by LED nominal voltages, 6, 12, 24, 48 and polarity, hell even a sparkies Duspol can do 12 and 24 with polarity and in both cases are faster than a DMM. Anyways Carson, you haven't given any indication of the 'must have' features you need ? Want a decent small DMM, get a Fluke 101 unless you need current measurement too then arguably you'll have a decent small DMM and not something that might break in half if you sat on it like a bloody cellphone would. Not that I'm aware of. That's basically the upper end of the price range. The case turns it into a fairly large thing to carry in your packpack if you want to stick to what we are talking about here. If the goal was to have as small a meter as possible but you liked the BM235, then ditch the holster and get a some sort of custom case. I have flirted with the idea of getting a custom silicone protective sleeve made for it. Dave, in your shop it's not at all clear that it comes with a case and I know I've seen examples that it does. Might you add some imagery to show it clearly does ? I don't see any of the DMMs above as 'pocket' size but I may be thinking about shirt pockets and others are thinking about 'hand held' as opposed to 'bench' type. The most expensive? Probably the Fluke 289. My Fluke 189 probably held the honors back 15 years ago. But there is no way in the world they fit in a 'pocket'. Maybe the Aneng 8008 fits. It's too new to say but Dave's 121GW seems like a nice meter. I haven't had time to use it for much but it seems pretty decent. I bought 2 of the BM235s and they are very nice but hardly 'expensive'. They do have an odd 'OFF' position on the knob. That VC99 isn't a bad meter either. It doesn't get much use now that I have the 8008, BM235 and 121GW sitting on my small yet cluttered bench. Along with 2 bench meters on a shelf over the top. 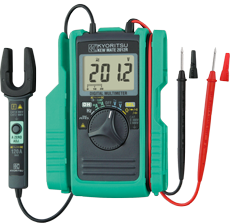 The Fluke 101 is pretty high on my list; it seems like a nice little meter. However I think if I take the rubber case off my BM 235 then they start getting really close in size. And the BM 235 is much more capable. Thanks for the response, Dave! I'm still new enough to the forums to be slightly star-struck, haha. It's looking more and more like I might end up with the Sanwa PM300. I purchased my unit through amazon, and it had no case included. I have seen a case and a few other accessories that supposedly go with the meter online though. See the attachment. Yeah, I can see how that could piss a man off......just 'not quite right' in either position. What about a bit of slit rubber hose to use on the foot of the bail when in the more lent back configuration ? If it would stay firmly in the more upright position I would be content. However the hinge flexes away from the body of the meter and it collapses into the flattened position. You may have sold me bd139! Although if I can find myself a bigger backpack, I could carry my trusty Weston Model 772 instead! You need a "pocket" trolley to have "compact" analog meters. On the image i was measuring an 9V battery that is almost gone.